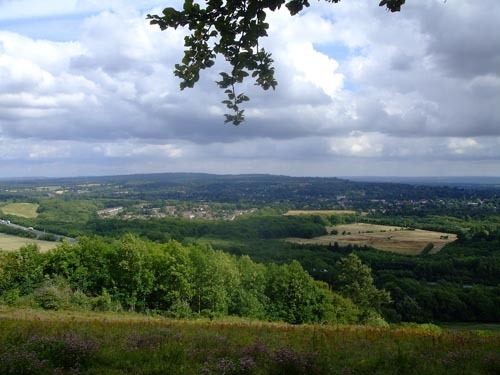 This is a 10 mile walk starting and ending in the Surrey village of Oxted. You can get a train from Clapham Junction, times can be found here - look for Route 18. If your traveling by train you can get a taster of the walk by looking back once the train leaves the tunnel after Woldingham Station, here can be viewed the 'white cliffs' of the North Downs and Gangers Hill. 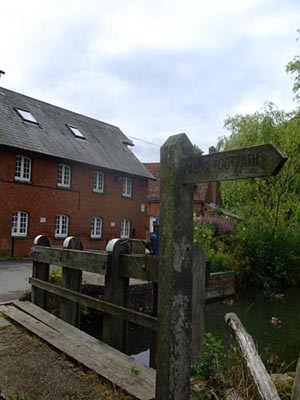 For the first part of the walk you will be walking the Greensand Way west toward Godstone. Luckily, the Greensand Way runs through the train station so your off and away straight after leaving the train. 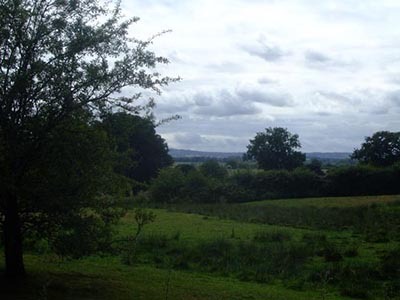 You leave behind any built up areas after Oxted Mill, with open fields and easy walking paths giving good views looking South around Tandridge Park. 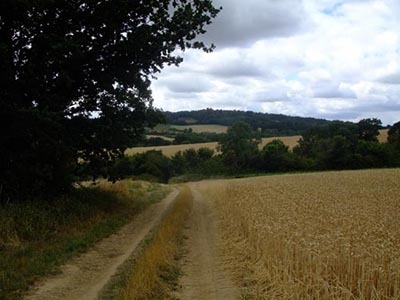 Footpath through farm fields at Oldpark Wood also give great views west toward Tilburstow Hill. 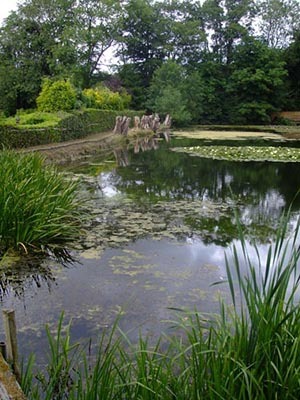 At Leigh Place, after enjoying the lovely pond views (and spotting the local kingfisher) turn off Greensand Way and head into Godstone. Passing through Godstone, (best bit being Church at Church Town) head North to cross M25 over footbridge. Taking a direct route, ascend steep hill after hacking way through slightly overgrown part of path. Steps here help a bit and give chance to catch breath. You now reach North Downs Way and head off eastward enjoying brief views south. After crossing A22 via footbridge, you enter woods which undulate and block views untill reaching Gangers Hill / South Hawke which provide views looking south back over Oxted (and M25). Relax before attempting steep descent back to another footbridge over M25 heading back into Oxted via Mound at Barrow Green. After reaching main road, the walk back to Railway Station shows off some of Oxted historical buildings, and passes a lot of pubs.